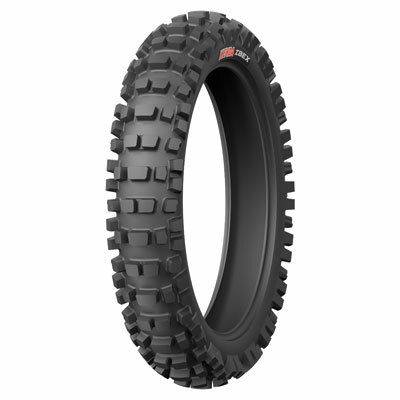 The Kenda iBEX (K774) is the premier tyre for single-track warriors! Designed for Endurocross and extreme enduro-type conditions. Super-soft and flexible rubber compound for maximum bump absorption and terrain compliance for obstacles like rock gardens and log crossings. Shoulder knob pattern designed for large contact patch and support for soft compound during cornering.